I tried to mod and create a new map like Main map dota 2 with a few of modding. 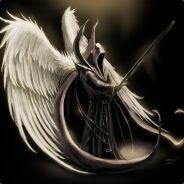 As Level hero begining at 25, respawn time hero death to 0s, gold begining 9999999, start game like Map dota 2 with action Image 5 hero vs 5 hero, but can start map with alone , or 1/2/3/4/5 players each team, remove creep spawn and conditon win still kill the Main enemy building like origin ver. Wrong subforum. Answered in another thread.